Selling the business you have worked so hard to build is a major decision and one which must be approached with care. Not only could your business be of great value not only in financial terms, but also on a personal level, and therefore you want to ensure your business gets sold to the correct person. 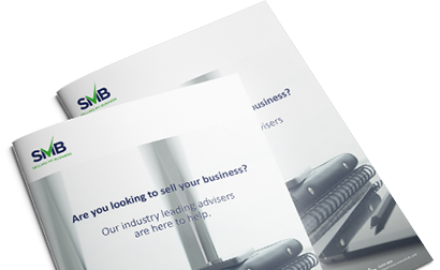 Chosen correctly, the right adviser could see you achieving more money for your business than you would get if you went it alone, as well as saving you enormous amounts of time, stress and worry. Right Contacts – An experienced adviser will have built up a database of contacts that they can tout your business to. It may even be the case that they already have a buyer in mind from the start. Access to these valuable contacts could seriously cut down on the amount of time it takes to find a buyer and consequently for the selling process to be completed. Realistic Valuation – Although we all want to hear that our business is worth a significant amount of money, it is much more useful to have a realistic value rather than an inflated one simply to boost your ego. By obtaining a realistic value from a professional, you know from the outset what you can expect to receive and you can therefore manage your expectations accordingly. By having an accurate valuation in place you minimise any disappointment if your business fails to reach lofty heights on the open market, and it may also make you question whether selling up is actually the best thing for you. Effective Advertising – Marketing a business for sale can be done through various channels, and a professional business sales adviser will know the best ways to advertise your particular business. What may be an effective marketing strategy for one business may not be appropriate for others depending on the sector or industry. The sale of some businesses may benefit from online marketing efforts, while others may fair better through more traditional advertising channels or direct contact through known parties. Experienced Experts – When you enlist the help of an adviser, you are hiring an expert. As they deal with business sales every day, they are perfectly placed to hold your hand through the entire process including the legal and technical aspects of the sale. They can provide valuable help when it comes to negotiating with a prospective buyer as their advice will not be clouded by emotions as a seller may be. Before these negotiations begin, a good agent will check the background of the prospective buyer to ensure they are serious about their intention to purchase, and also that they have the necessary funds in place to complete the transaction. Managed Sales Process - Selling a business can be an exhausting, and often time intensive process, and this can take its toll. By getting an expert on board to help you, means you can focus on doing what you do best, running your business. Next Article: What is an ‘information memorandum’ and what does it need to contain? Previous Article: How much is my business worth?